I didn’t know it would turn out this way. The pregnancy had started like I had expected. A positive pregnancy test led to an initial doctor visit for my wife. However, that first ultrasound brought news that would change our lives forever. Twins. 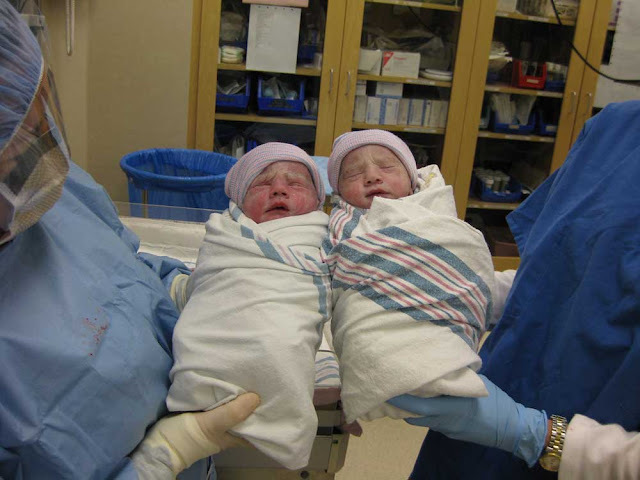 Despite seeing my girls in countless ultrasounds during the twin pregnancy, it was still hard for me to grasp that I would be a father of twins. The pregnancy was surreal for me. I’d second-guess what was happening. “Are there really two babies in there?” From the outside looking in, things appeared similar to our previous pregnancies. And yet after 36 weeks of pregnancy, there in front of me were two little babies. Both were swaddled up and quietly sleeping next to each other. Our twin daughters had been born just minutes earlier and I stared in awe and silence at their perfect little features. During delivery, I was so torn between telling my wife what was happening (she couldn’t see much since she was covered up for the C-section), and checking on the status of each daughter, that I buzzed back and forth like a honeybee. When each girl was born, I quickly scanned her and counted all her fingers and toes. Everything was in order. It wasn’t until after the C-section and we had left the operating room that reality started to sink in and my attachment to my daughters was formed. The excitement of delivery kept my mind so busy that I had a hard time processing the reality that I was now a father of twins. It wasn’t until we were in the recovery room and the dust had settled that I really got to study my little girls. It was a quiet evening at the hospital. Our girls were the only ones in the nursery as they got cleaned, measured, and prepared for life outside the womb. This gave me plenty of time to be with and ponder the reality of my new situation. Yes, there they were. Yes, there were two. My wife and I had two other sons at home but they had arrived one at a time. This day and this delivery were different. A few years earlier when each of our boys were born, I cried. I got emotional. But this night I didn’t. What was happening? My girls were so small and fragile looking. They came earlier in the pregnancy than their brothers. They were our first girls. There were lots of firsts with our twins’ delivery and my head was spinning. During the months we prepared for our girls’ arrival, I had worried about what to prepare, how we were going to pay for everything, and all the potential health concerns of twins. Now as I stared at our newborn twins and processed my emotions, I realized that the anxiety and fear I felt during the twin pregnancy were gone. I didn’t feel those concerns. The future would take care of itself. For now, my fears were replaced by joy and love. 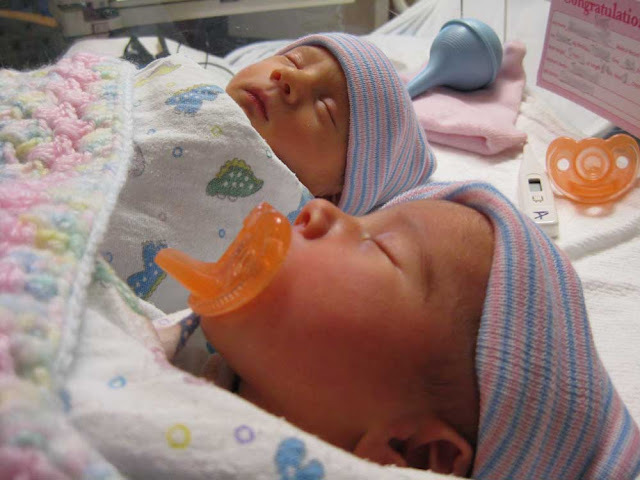 I fell in love with my twin girls that evening in the quiet solitude of the hospital room. It didn’t come at the moment of delivery as I had expected. It didn’t come with a rush of emotion and tears. But the bond was formed. The love and bond then grew with every feeding, diaper change, and time I held my girls. Through the intense newborn months and sleep deprivation, that love both grew and sustained me. Now as the sleepless nights are past (at least until they are teenagers), I love my girls more each passing day. Joe Rawlinson is the father of four children, two boys and identical twin girls. He is the author of two books for fathers of twins, Dad's Guide to Twins: How to Survive the Twin Pregnancy and Prepare for Your Twins and Dad's Guide to Raising Twins: How to Thrive as a Father of Twins. 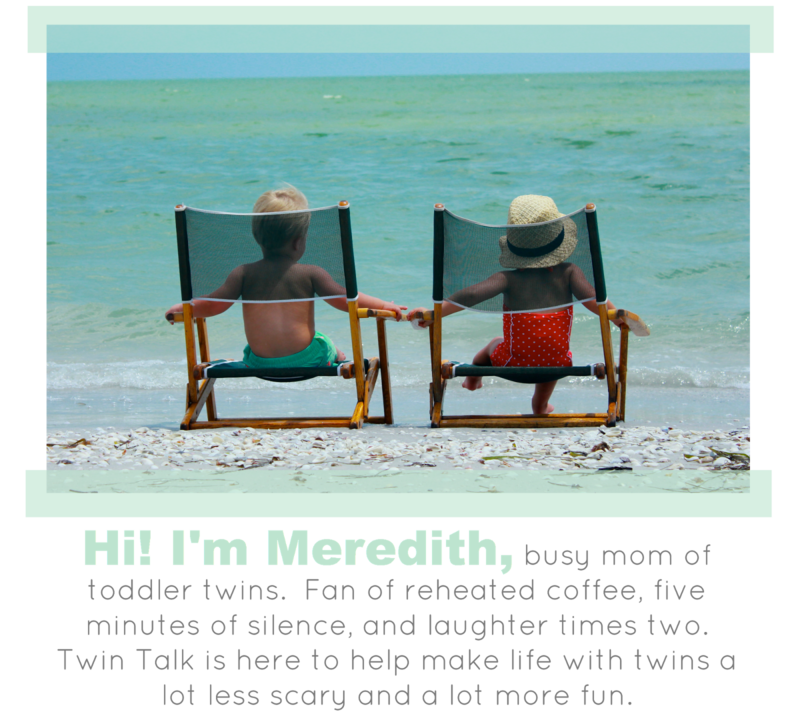 You can find more tips and tricks for preparing for and raising twins at dadsguidetotwins.com. Now it's time for a GIVEAWAY! Joe has written two incredible books specifically for dads of twins! 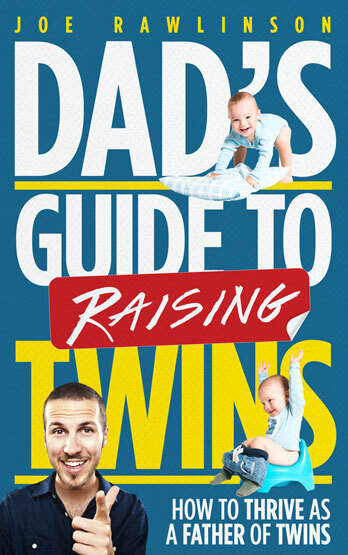 He's giving away his book, Dad's Guide to Raising Twins to one lucky reader! This giveaway begins NOW and ends tomorrow at midnight! The winner will be announced on Friday! 1 year 8 months and causing headaches everyday. Maybe this book will help relieve some of the ache. Great story, and so relatable! My identical girls were born a year ago today and it's been an incredible journey! Our 18 month old identical twin girls are so much fun. There is never a dull moment with them and their 4 older brothers.